More than a billion euros in previously “hidden” Church funds will be revealed in new Vatican budget audit. But the funds have not been misused and are not part of corruption and scandal that have previously shamed the Vatican, reports The Australian. The vast sums of undeclared money have been hidden in various bank accounts by organisations and groups within the Holy See in Rome. Although the funds have not been misused, the money has not been properly disclosed or available for the full use of the Vatican because it has been hidden away in an Italian practice of keeping aside undeclared finds. 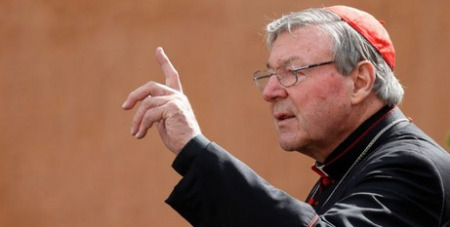 It is now expected that Cardinal George Pell, appointed by the Pope a year ago as the Vatican treasurer, will disclose in his audit of Vatican funds as part of next month’s budget that more than a billion euros have been hidden away. Cardinal Pell, who is introducing tough, modern financial rules for the Vatican, said previously he found hundreds of thousands of hidden euros as he applied his new audit standards to the Holy See.